It is always a good idea to know what to expect before heading off to the dentist. Assuming that this is merely a maintenance visit, what are some of the techniques which will be used in order to ensure healthy teeth? – You will first be provided with a thorough oral examination. 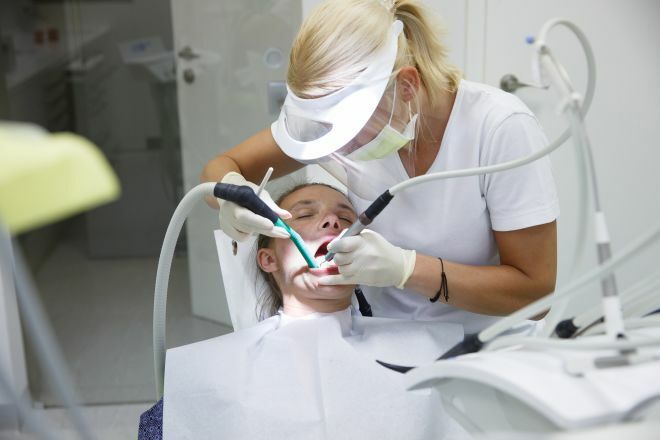 – Any existing plaque and tartar will thereafter be removed. – A layer of fluoride may be applied to strength the enamel of your teeth. I’m Matthew Houlton, principal dentist and practice owner of Manor House Dental Practice. Qualified from Sheffield dental hospital in 1993. Post graduate training with Paul Tipton (Specialist Prosthodontist) from 2005-2007. Diploma for Membership of the Faculty of General Dental Practice (UK) 2007. Yorkshire Deanary Fixed Appliance Training Scheme 2002-2004. I have worked at York Hospital’s orthodontic department one session a week since 2009. Member of the British Society of Occlusal Studies (the study of temporomandibular disorder). I have two children, who keep me busy when I am not at the practice. I take a keen interest in and teach Aikido, a martial art, to keep a healthy mind and body. Previous Previous post: Genes And Dental Health: Is There A Connection?